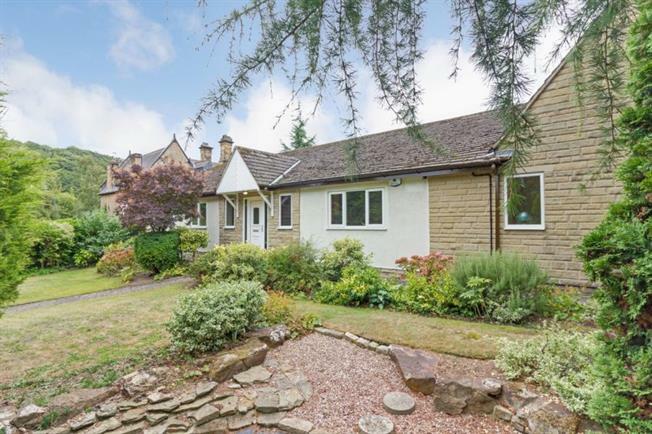 5 Bedroom Detached Bungalow For Sale in Sheffield for Guide Price £575,000. If the perfect location is a high priority then look no further than this fabulous larger than average five bedroom detached family home, providing deceptively spacious & versatile accommodation. The flexible reception space is a great advantage along with the three bedrooms/two bathrooms to the ground floor, ideal for the buyer requiring accommodation over one level, with the added benefit of a staircase rising to a first floor where two further bedrooms and a shower room offer a fantastic retreat for teenagers or guests. The property will be of particular interest to a variety of potential purchasers looking to be situated within Dore, one of Sheffield's highly regarded residential locations benefitting from excellent schools, fabulous recreational facilities, as well as being within walking distance to Dore train station accessing Sheffield & Manchester and within only five miles of the wonderful countryside of peak district national park. To the ground floor are two large entrance hallways, lounge through dining room, family room, side conservatory, well proportioned breakfast kitchen overlooking the side garden, master bedroom with en-suite shower room, two further bedrooms and spacious family bathroom. Stairs rise to the first floor landing where there are two further bedrooms and shower room. Outside: up & over doors lead to a double integral garage and utility room. Ample off-road parking is provided via a block paved driveway for several vehicles to the front of the property and the property sits within attractive landscaped, low maintenance and easy maintainable grounds to front, side and rear. Location: Situated in one of Sheffield's most sought-after and prestigious locations within excellent school catchments, along with being close by to a host of local amenities, well placed for access to both Sheffield City Centre and The Peak National Park together with the local public transport network including Dore train station.